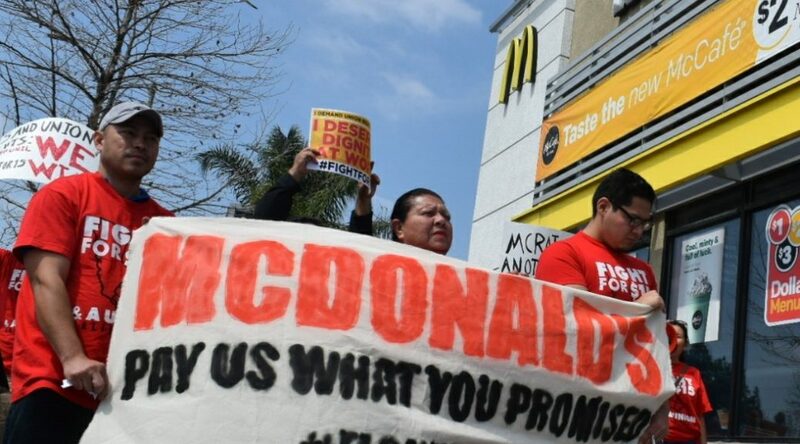 A series of recent pay stubs for 16 McDonald’s employees in eight cities … show workers receiving hourly rates that are substantially less than a dollar above the current local minimum. Do you work at a corporate store and make less than $1 over minimum wage? Call (650) 503-4448 and let us know!